The Disciplinary Committee is expected to perform its duty within a time frame and not to create a blameworthy situation, the Court said. 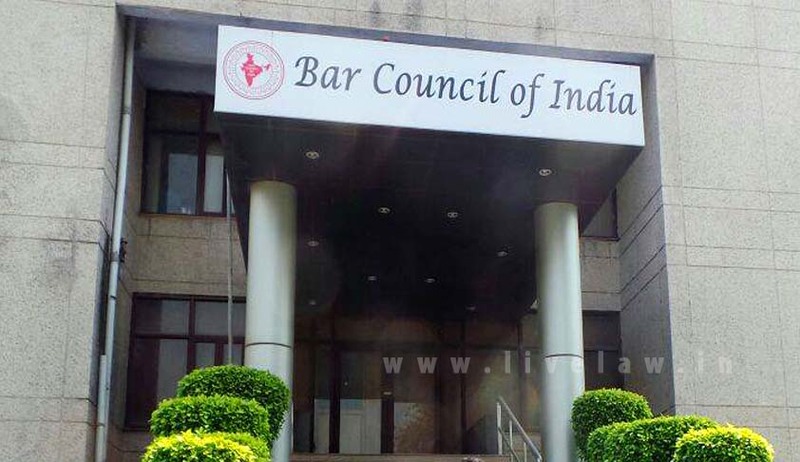 The Apex Court in Ajitsinh Arjunsinh Gohil vs. Bar Council of Gujarat, has held that the Bar Council of India (BCI) cannot remand back a complaint which is transferred to it by the State Bar Council. In the instant case, the Gujarat Bar Council had transferred a complaint to BCI Disciplinary Committee as it could not complete its proceedings within a year as mandated under Section 36B(1) of the Advocates Act, 1961. However, the BCI’s Disciplinary Committee, remanded the matter to the Bar Council of Gujarat with a direction to dispose of the case within a period of one year. It was contended before the Apex Court bench headed by Justice Dipak Misra that, the words “may dispose of the same as if it were a proceeding withdrawn for inquiry under sub-section (2) of section 36” and on that basis propound that the said words confer wide jurisdiction on the BCI and do not restrict its jurisdiction only to decide the matter. The Court observed that there is a distinction between an appellate jurisdiction which the BCI exercises under Section 37 and the original jurisdiction under Section 36B (1) and it is only while exercising the former, the BCI can remand the matter to the State Bar Council. “There can be no shadow of doubt that the BCI, while exercising original jurisdiction on transfer of a complaint, cannot exercise the appellate jurisdiction”, the Bench said. “The legislature, as we find, never intended a complaint made against an Advocate either from the perspective of the complainant or from the delinquent to be transferred to BCI, again to be sent back”, the Bench added while quashing BCI’s order of remand and directing it to decide the complaint within three months. The Court also observed that that, in many instances, disciplinary authority of the State Bar Council is not disposing of the complaint within the stipulated period, as a consequence of which the proceeding stands transferred to the BCI. The Court also asked the State Bar Councils to take a periodical stock of cases in each meeting with regard to the progress of the Disciplinary Committee, find out the cause of delay and guide themselves to act with expediency so that the Council, as a statutory body, does its duty as commanded under the Act. “A statutory authority is obliged to constantly remind itself that the mandate of the statute is expediency and the stipulation of time is mandatory. It will not be erroneous to say that the Disciplinary Committee is expected to perform its duty within a time frame and not to create a blameworthy situation.” the Bench said.